One of the most popular articles on this site is the Best Sets article, describing which sets of gear are most useful for attacking, defending, and for campaign/CHS. At the moment, this article is still very useful, but pretty soon, it will be completely rendered useless. Why? The new Gems. In this article I will explain why this is the case and how gear will be chosen in the near future…and why this makes me think the new Gems stink…. Does diminishing returns not factor in at all anymore?? So up until now, choosing gear was quite a difficult task, because the highest buffs didn’t necessarily mean the best combo. Due to diminishing returns, full Replenish fared worse than mixing in some Void on defense for example, even though Replenish at face value has better defensive stats. This made choosing gear somewhat counter-intuitive, but also challenging, and each new gear piece released needed to be evaluated to see whether it could perform better than the last “best set”. No more. So what will gear be selected on in the (near) future? Simply for highest stats. Replenish has higher stats compared to Void? Great, that means you will equip ALL Replenish, and don’t worry about diminishing returns. So why? 2. Why will gear selection change? The old situation. The first category, standard buffs I called it, is pretty fixed. It changes of course as you acquire more perm buffs and level up the Guardian, but you do not choose the levels in this regard. You play with what you have basically. So no changes here. The second category is also pretty fixed in the current situation. And with current situation I mean the predominant use of Artamir Gems, and the relative scarcity and uselessness of the new Gems until we reach higher levels. 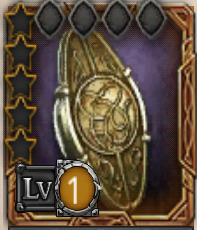 Now, the Artamir gems are great because for each gear type, they buff a fixed attribute. So even with all the Gems in the world, there is little to pick and choose. For offense you gem the Weapon and Amulet (first), for defense the Ring and Shield, and for CHS you gem all but the Cloak. The third category, in the old situation, is the most important one. Gear. Here is where you can pick and choose and experiment with different amounts of buffs. Here we run into diminishing returns due to the first two categories, and we have to match our gear to that (hence the Replenish+Void mix). Mind you, you are constrained somewhat in that not every combination of buffs and debuffs is available in gear. So given the fixed amount of buff from standard buffs and gems, there will be pretty definite “best sets” to equip for the various situations. So the above situation is going to change, and it is because of the new Gems. What is happening with the Ruby, Citrine, Emerald and Sapphire gems, that the constraints on the buffs from Gems that we had with only Artamir disappears completely! And this means that with both Gear and Gems, we can now select the amounts of buff versus debuff we want on our Hero. In essence, we can battle diminshing returns with both Gear and Gems, where previously we just had gear. Now between Gems and Gear, it is obvious Gear is the much more constrained of the two. For each of the 20 slots (as the cloak comes into play now as well) we can pick what buff or debuff from Gems we want now. And in the process of getting the best set-up, you (should) work your way up from most constraint category to least constraint. Until gear comes out with all possible combinations of buffs/debuffs, and it won’t, we will now have our standard buffs, select the best gear, and THEN deal with diminishing returns with the new Gems. First a small side note on what will become the new best gear. Like I said this will be the highest buff gear. Does it matter if a gear buffs or debuffs? No! Simply add up all the relevant buffs a gear piece has (buff AND debuff) and compared it to other gear based on that number. Void has 36.8% defense buff (debuff), while Replenish has 54.8% defensive buffs, making it the better choice. Let’s use an example to show you why exactly mathematically. So in total we have 165+400+120=685% life buff and 70+120=190% attack debuff for this set-up. We know the life buff suffers from a high diminishing returns effect, such that equipping extra Replenish is worse, while at the same time, equipping another Void piece is also less effective. So basically, in our situation, we are now stuck at our best solution. We cant change gear for better results, and we cant swap around Gems. Enter the new Gems. And we will just follow my earlier advise and select gear on highest buffs. That means our Void pieces go out the door and we equip full Replenish. Without Gems, we now have 400+(5×55)=675% Life buff. BUT, we still need to apply Gems. And because the new Gems have the same effect anywhere, we have all gear piece Gem slots at our disposal, so 20 Gem slots in theory. But lets constrain ourselves and ONLY gem the Shield and Ring, as we could have also gemmed our Amulet, Weapon and Cloak in the old set-up as well. So 8 Gem slots to improve. We have Emerald Gems for Life buff and Sapphire Gems for Attack debuff, all at level 7 again of course (~30%). So first, we try to get the same Life buff and work from there. With one Emerald Gem, we are at 705% life buff, already higher than the old situation. And we have 7 Gem slots left, giving us potentially 210% Attack debuff if we fill it with Sapphire Gems. We can also swap one Sapphire for a Emerald and end up with 735% life buff and 180% attack debuff. Whatever the case, the new gems increase our defensive buffs with 40%! 6. Does Diminishing Returns not factor in at all anymore?? Yes! Yes it does, but is easier to deal with now. Before, we had our Artamir gems and Buffs, and figured out which gear was best considering diminishing returns (DR). But gear is fixed, varying in base stats and bonus attributes, so we couldn’t swap around freely with all our gear. At least not as freely as with the new Gems. But DR still applies. In fact, for every fixed amount of buffs/debuffs, there will be an optimal amount buff versus amount of debuff. The only way to know for sure what works best is to test this in-game by applying both buff and debuff and testing, for example against Goblins or other players. But while we tested gear previously, that will turn into testing Gems in the future. And Gems are SO much easier to swap around…..
7. What did I leave out? Most importantly, I did not discuss the opponent’s buffs. We know pretty much for sure that both attack and life buffs and debuffs all factor into one equation for battles. Attack and life debuff for attacker, life and attack debuff for defender. In battling diminishing returns, there could very well be a difference between for example attacking a player with really high life buffs, versus a player with really high attack debuffs. Why didn’t I discuss this? (1) I’m not sure IF this is the case and how large the effect is, and (2) this is also the case now without high level new gems, and does not impact the main point of this article. The main point in this article of course applies best from the moment we have more new Gems at our disposal, so level 6 and higher. But I don’t think that will take too long…. So that’s it for now. Do you agree with the main point? And what do you think of the new gems, are they a good addition or not? Let me know! This entry was posted in Articles and tagged artamir, attack, buff, campaign, CHS, citrine, debuff, diminshing, embedding, emerald, equipment, gear, gem, gems, Hero, kabam, kingdoms of middle earth, KoM, life, replenish, returns, ruby, sapphire, void by beardmonkey. Bookmark the permalink. Artamir gems when put on an object will all give the same attribute (life, attack, foe life dbf, foe atk dbf). For instance, 4 artamir gems put on a necro sword for example will all give life, different percentages based upon level of gems though of course. 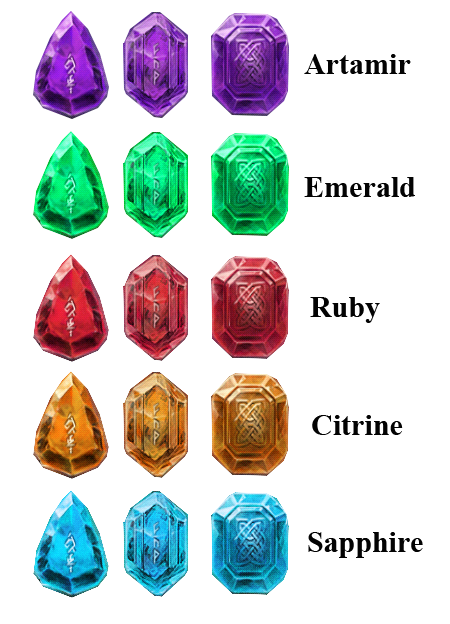 If, however, I had a weapon that I was using for defense, I would use some of the new emerald (life) gems on it as the artamir gems would increase atk. Gives you extra few % to life that you wouldn’t get with artamir. ok what about , attacks or life buff belong to items … every item has specific attack or life so .. how will calculate all of them .. i have % 450 life buff and %500 atk debf so is it important items values ? when you check items you will see they have life or attack values. i wonder them.. how will we calculate all thıngs ? Love your site. Appreciate the hard work you’ve done. Still confused a bit on the new gems. For example, if I use Emerald gems, does the life bonus count on all gear or just the gear I put it on. And mainly, does the gear I use it on need life attributes to benefit from the Emerald gem? The bonus is applied only once for the hero wearing the gear with the gem. Secondly, a gear set does not need the gem bonus of itself to benefit. I am still confused by your posting above as the artamir gems can give you up to 51.20% boost on a single level 8 gem. Currently the special gems can only give im guessing 16% (my current highest are level 5 at 8%) bonus. So if you remove your high level artamir gems you are substantialy reducing your buffs. I am trying to figure out the best setup now for campaign high score. One Ring (so I have heard) or Bard’s Ring, Beorn’s Axe, Void Amulet, Replen Shield,Void Cloak from what I know are the best CHS gears. * Still trying to figure the lvl I legendary gear out. I have replenishing gear with smaugs tooth. Over 100k stats, and then i lose about 200k t1 when i defense against 200k t1? how does that make sense, surely 100k defense for replen gear is good, how can i lose more troops? Do you mean lose less troops? Mix in a couple void gear pieces, rune up, apply emerald and sapphire gems to Cloak and weapon. If you have better gear than smaug’s tooth use that also. what do you mean 100k defense? This is correct IF all you want to do is duplicate the effect of the Artamir studded gear, rather than try to get he best gear possible. You can indeed duplicate the 2 replenishing 2 void figures using 5 replenishing plus gems. But you don’t show that the 3r2v set plus gems cannot be better. You do address this in one of the other notes, but that depends on whether adding the gem debuffs to the gem buffs is an accurate way to assess how the gems and gear interact. We already know that the full replenishing set, at 275% buffs, is not as potent as 3r2v set at 237% buffs+debuffs. So why would you assess the sets plus gems by comparing “combined buff/debuff numbers”? (1+buffs)*(1+debuffs) is a better standard than buffs + debuffs. But if you can demonstrate why buffs+debuffs is more accurate, I’ll listen. Like I said, this article is assuming you have new Gems all on high level, so lets say level 8 right now, just as an example. So for a defense hero, we have 4×5=20 slots for Gems, which with level 8 gems means 20×50% = 1000% of buff to divide. You could go all Emerald and get 1000% life buff, all sapphire and get 1000% attack debuff, or split equal for 500%/500%. Now the focus with gear is to get the buffs and debuffs from gear+gems to be as high as possible and as equal as possible. Now because we have so much room to wiggle with the new Gems, getting it equal with gems alone will be easy. So whats left is to get buff and debuff as high as possible. With the gems, we are stuck at our maximum of 1000%, BUT now with gear we can opt to go for the highest percentages of either buff or debuff (doesnt matter which) instead of trying to balance with gear. Without this massive freedom from new gems, we had to balance buff and debuff with gear, hence why 2 void 3 replenish is used. But with the new Gems, we can equip full Replenish, because each replenish piece has 54.8% buff, while void only has 36.1% debuff. 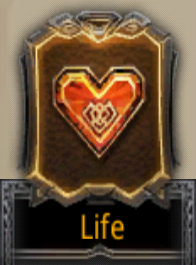 So we sacrifice 2×36=72% attack debuff but gain 110% life buff. With enough new gems of sufficient level, you just counter that loss of attack debuff by applying more Sapphire gems compared to Emeralds, which wouldnt have been possible before the new Gems. Only slightly could you tweak things by putting highest Artamirs in ring first….not needed anymore. Ok. Thanks for the reply. If you have enough new gems of sufficient level, you are correct. You should be able to balance buffs and debuffs. You could even take it a step further. Gear won’t matter except to hold the gems. An even split of the level 8s gives 500% each to buff and debuff. Void’s 5*36.1=180.5% seems small, while Necro or replenishing’s 275% has only a little more impact. With level 9, they will fade even farther into the background. Until we reach those levels, we still have some balancing to do, some figuring of what is the best setup of gear and gems. And I am sure you will help us all do that. And you are correct in stating (1+buff)*(1+debuff) is the correct way to look at it. That formula has, for a given number of points to divide between buff and debuff, a maximum at buff==debuff, hence this article. If you would be so kind as to use 10k Mammoths and rest MR and test again? I doubt you will get less losses with Elrond Ring 1 that way but Im eager to see the results…. Dear beardmonkey, first of all thank you for taking the time to write on this very confuaing and yet interesting aspect of the game! I have been struggling with one thing about the new gems. Ring and shield: emeralds are applied. For 1 piece of lvl 7 emerald, i have 5 x 30% = 150% life buff in total. Or is this just too good to be true?! Thank you for your anwser! As far as I know we cant make level VII so we have only VII (or VIII) for artamir that are 25% (50%) and new gems are merged by 5 so level VI are 16%. Taking this into account calculations will show much less benefit. Last point when you compare 55% buff life to 36% debuff attack you seem to miss the maths behind, cause its pretty the same on a basis 100 (100 units of 1 HP example). Personal best set : 2 void, 1 replenish, Beorn Axe and bard’s ring. (1) Correct. Thats why I explicitly state this article will become effective once the new Gems reach same levels as Artamir. But even if we let them go to just level 6, much of it applies already. (2) From what I know, you are wrong here. On the 55% life buff you come to the correct answer, but your mistaken on the attack debuff. A 36% attack debuff does NOT equal 64 attack left. Going by attack being: (base attack)/(1+attack debuff), a 36% attack debuff leaves 73.5 attack left and not 64, meaning that in fact 50% life buff is equally as effective as 50% attack debuff. If you’re line of reasoning would be correct, a 100% attack debuff would render 0 attack left, which is not the case. What do you think? Artamir VIII better in shield or ring for highscore? And I noticed that Artamir VII in sword is better for highscore than emerald vor Saphire. Crazy or?? I thought Attk and Life Debuff are not relevant for highscore? Or only for highscore and not for best def hero? It seems like maybe attributes that can’t be gemmed will be more valuable once you can hit diminishing returns from gems alone. Is Gandalf Staff I the dark horse for best weapon??? Could you make an article on the math behind debuffs please? I think there is one piece missing, and it’s something I’ve been trying to figure out. I understand how the diminishing returns works. What I can’t figure out is if what you call “standard buffs” are part of that. I ran into a case where my prediction equations where way off. I though a replenish ring was going to be better than Bard’s ring or Void ring, but it was worse than both on my setup (details aside, setup matters) and not by a small margin, either. What you want, ideally, is for all buffs to match all debuffs, right? (Of one type, of course.) So, when you add up _all_ life buffs, gear plus standard buffs, you need to have enough gems to balance that, right? With artamir, that’s impossible (Especially on newer worlds where we have, at most, a single 7 and just 6s to deal with.). I think of 7’s as 25% not 30% (since they’re 25.6%). So, 4x 7 is 100%. That can’t even balance just the hero level part of the buff (240/2 is 120%), which is why Artamir obviously required gear balancing. But, if you have 20×7 attack debuff gems, that’s 640%. Given that each piece of replenish is 55%, the gems go beyond replenish by ~365%. That’s good, but hero, rune, and guardian add up to 385% when maxed. Plus we’re not even looking at the base stats of the gear, which only add buffs, not debuffs. Both void and replenish are the same, 50% for the whole set. What that means is why still have buffs ahead of debuffs when at the limits. If you only have 6s available, too, you won’t even come close to debuffing enough, right? That would force finding debuffs on gear. That is, with just level 6 gems we’re looking at a debuff of 320%, going beyond replenish by only 45% — before looking at hero and base stats. But this only works if we have to count the runes and hero. If we factor that out, because we’re against a similar hero (campaign) or similar hero and runes (tk), then it might be a little different, right? I haven’t run the math… I’ve just seen anecdotal evidence. Side question: What’s the highest level non-artamir we’ve seen? Are they handing out 7s and 8s on older worlds? Have we heard any rumors of being able to mine the new gems? Also, if you’re just summing the numbers for a quick check, Bard’s ring comes out looking great. It has a higher total than Replenish and, in practice, works better. Nice Read. On defense you’d still rock Beorn’s Axe over Replenish Sword though, no? It’s slightly better. nah I actually use the Replenish sword. Better attack and the 1.3% less life is offset with Gems easily…. So, if the 3/2 gear combination gives you a higher starting point due to diminishing returns wouldn’t it remain higher if you kept that then gemmed with emeralds and sapphires as you mentioned in the 2nd example? I like the new gems, finally we can customize gear for specific situations. There are 4 different types of gems, it’s not that easy to combine 20 level VI gems, I don’t think that the best sets are going to change in the upcoming couple of weeks. Besides legendary gear pieces with mixed attack/defense buffs and debuffs can become more useful with the addition of the right type of gems. Why don’t you explain to people what law of diminishing returns actually means in terms of hobbit. Why are you saying to use Full replenshing armor then,I dont think armor’s have anything to do with gems when it comes to diminishing returns.